Have yourself a nice hot cuppa, courtesy of the BBC's popular Doctor Who TV show! This Doctor Who 18 oz. 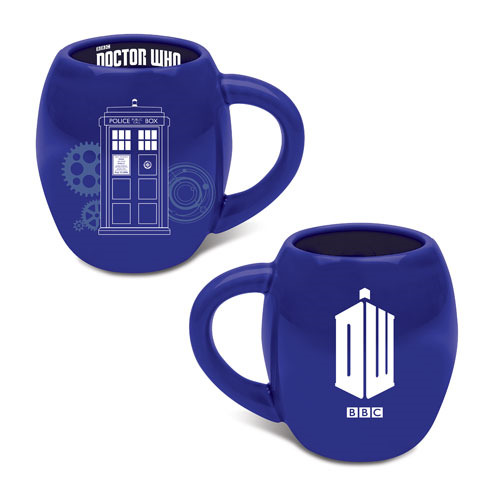 Oval Ceramic Mug features a cool oval mug design and shows an awesome image of the Doctor's TARDIS. Mug holds up to 18 ounces of liquid. Measures approximately 5-inches tall. Hand wash only. Not dishwasher safe. Do not microwave. Ages 14 and up.